Walk of Shame Matte Revolution Lipstick was the first matte lipstick I tried from Charlotte Tilbury. I had heard great things about the formula and when I swatched the formula in store it felt smooth and creamy, quite unlike any matte lipstick formula I had tried before. 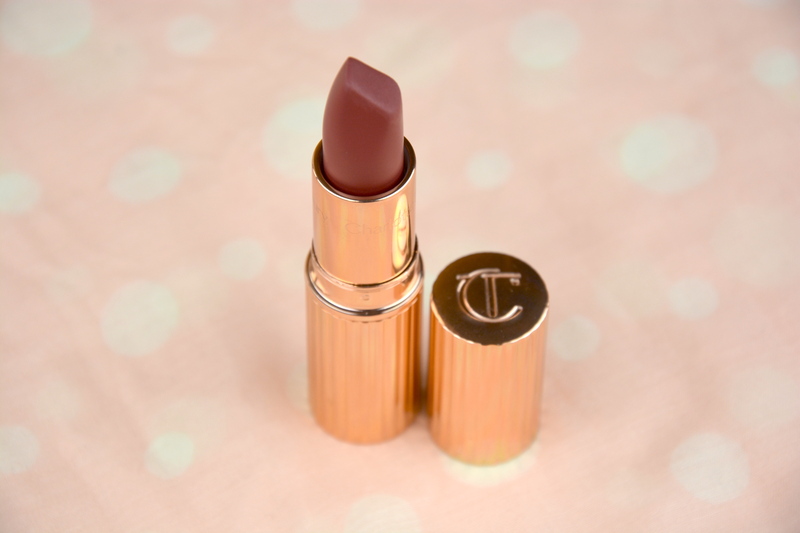 I originally wanted Bond Girl to be my first matte lipstick purchase from Charlotte Tilbury, but unfortunately it was out of stock when I was in store. The lovely sales assistant at the Selfridges counter pointed me in the direction of Walk of Shame and showed me how similar it was to Bond Girl. Satisfied that the colour was what I was looking for, I happily handed over my card and walked out of the shop with my first Matte Revolution lipstick purchase. Charlotte Tilbury describes Walk of Shame as a berry tinted rose. On my skin tone it translates as a reddened berry with a hint of brown. It very much reminds me of a ’90s lip colour with a modern twist. 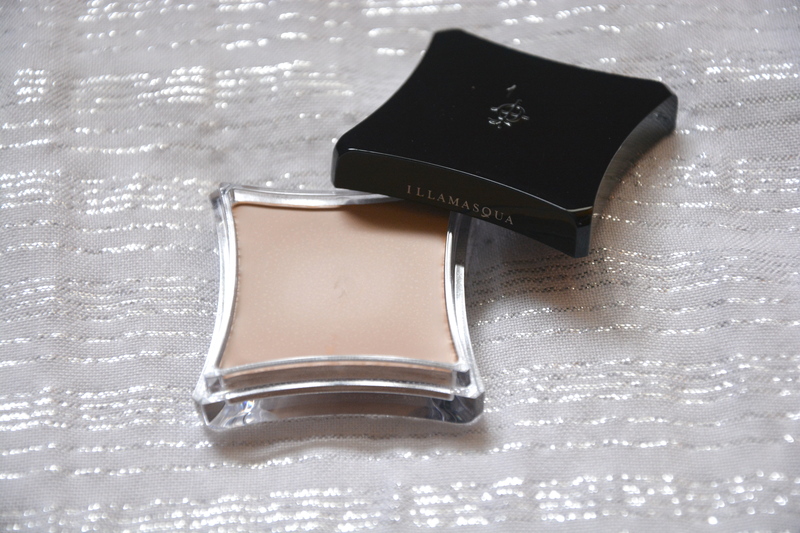 The lipstick glides on effortlessly with no tugging, and on the lips it feels creamy and comfortable. I can quite happily wear this formula all day with very little touching up and not end up with dry parched lips once I remove it. It lasts well when eating a meal and can be reapplied on top of itself without bunching up or looking messy. The shape of the bullet is something I have not seen before in a lipstick. The end has been squared off which gives you great control when carving out the cupids bow and the shape allows you to achieve a crisp line around the lips, so no lip liner is required – unless you want to use one of course. Both formulas from Charlotte Tilbury retail for £23. Now some may feel this is over priced for a lipstick, however I disagree. I feel that the quality of the lipstick is really up there in line with my lipsticks from Chanel and NARS which are at a similar price point. 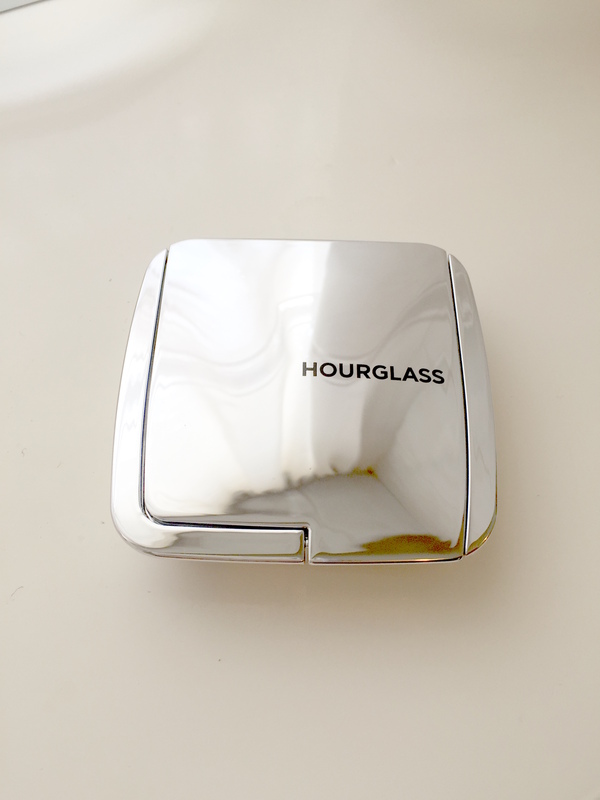 The packaging is also gorgeous and looks beautiful sat on the dressing table. Charlotte Tilbury Matte Revolution Lipstick in Walk of Shame retails for £23 and is available here. I love Soap & Glory’s brow products. I have tried five out of six of them now and every single one of them is excellent. I have dyed red hair but ashy blonde eyebrows so prefer to use a brow product that leans more towards ash blonde rather than a warm blonde. I have found each of the Soap & Glory brow products is the perfect colour for me. 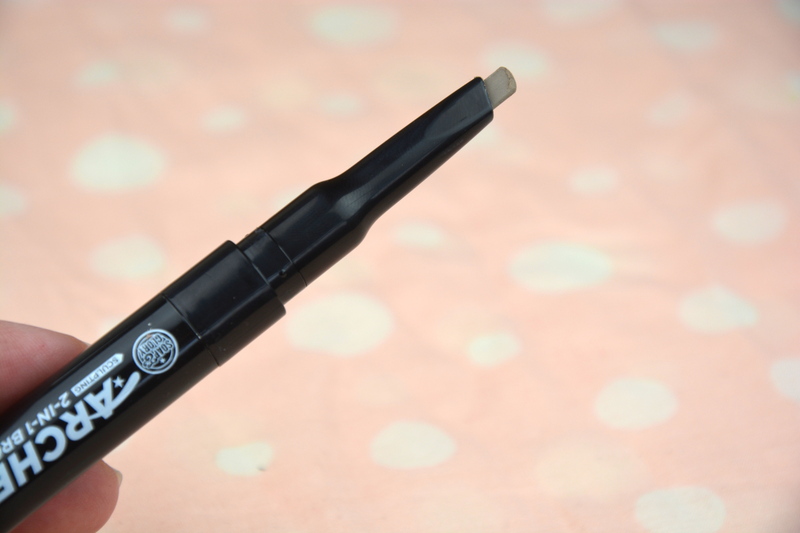 I was really excited when I saw they had released a new brow product that included something to fill in the brows and a gel to set the brows, this kind of product is perfect for travel. The Soap & Glory 2 in 1 Archery 2 in 1 Brow Sculpting Crayon and Setting Gel – award for the longest product name goes to Soap & Glory – has an angled twist up crayon on one end and then when you unscrew the other end you have a spoolie with brow gel. I have the shade Blonde Ambition which is a taupe colour and perfect for blondes with cooler undertones to their hair and brows. 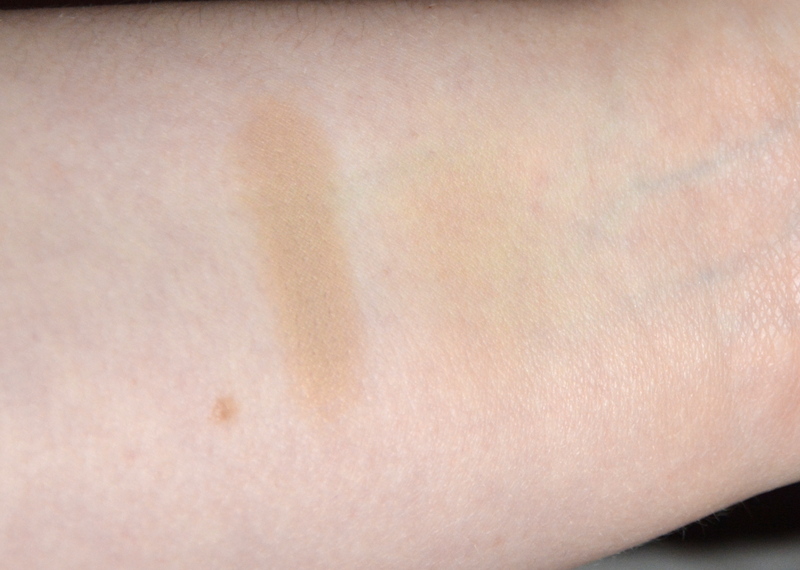 The crayon has a soft waxy texture with good pigmentation. It is shaped more like an eyebrow brush as opposed to a traditional pencil, it is a slanted wedge in shape which makes it great for filling in brows but it can be more difficult when trying to have more precision. 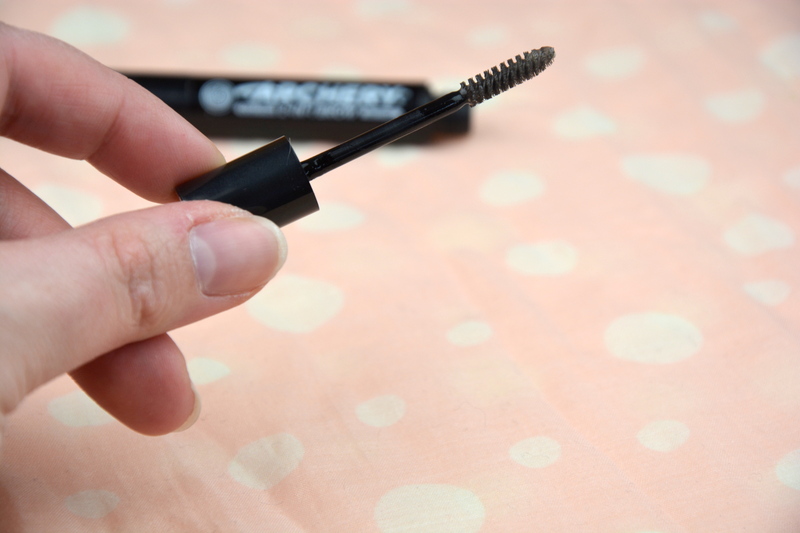 The spoolie for the brow gel is the perfect size to coat the brows without applying gel to the surrounding skin. I cannot quite work out if the gel is tinted or not, the product description states that it is, so the tint must be really quite light as I cannot see it at all, this may be because it is the blonde colour. The gel holds the brows in place all day without causing them to feel crispy like some brow gels do. As I said above, this product will be great for travel as you have all you need to shape and tame your brows in one product. The only other company I know that makes a product similar to this is Revlon my current travel brow product), however I think this might be finding its way into my travel makeup bag instead. I can safely say this is another fantastic brow product from Soap & Glory. 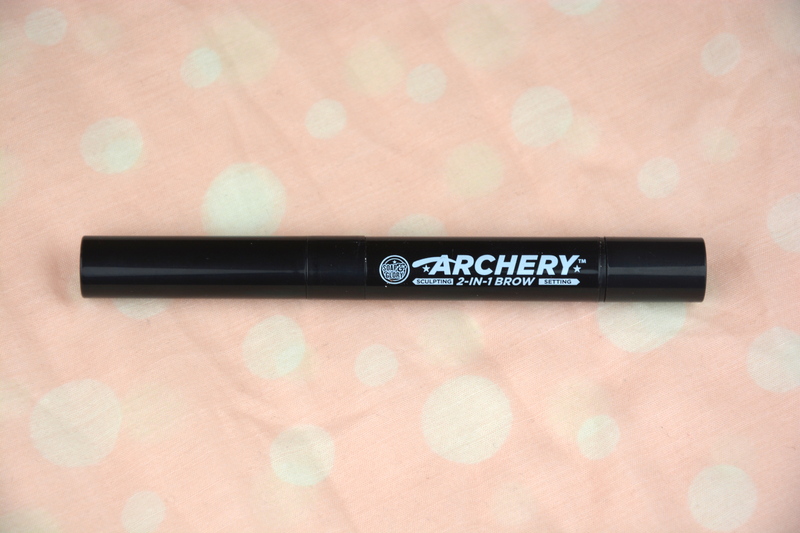 The Soap & Glory Archery 2 in 1 Brow Sculpting Crayon and Setting Gel retails for £10 and is available here. I am huge a fan of skin care products that are infused with hyaluronic acid as I find they really help boost the moisture in my skin and this in turn helps my makeup to apply more smoothly. I have tried the original Indeed Labs Hydraluron serum in the past and I really enjoyed how it made my skin feel and also how it helped the performance my other skin care. 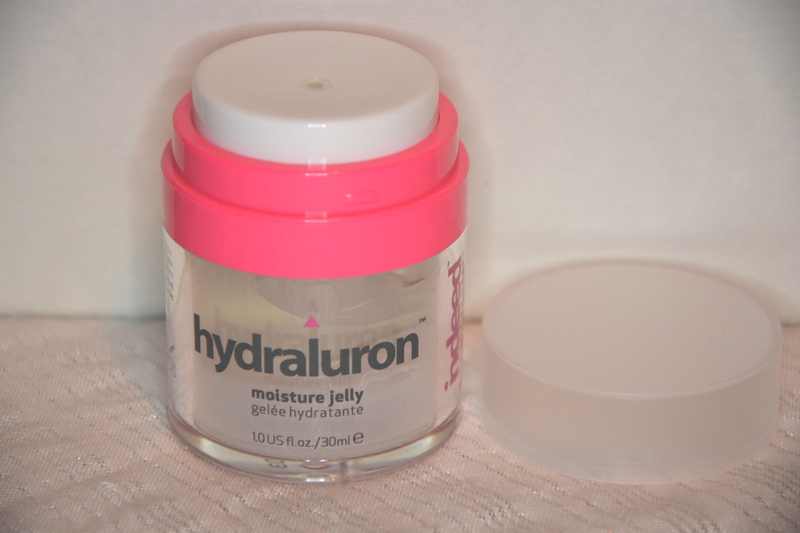 I was intrigued to see that Indeed Labs had released the Hydraluron Moisture Jelly which is to be used along side the original serum to not only help add moisture to the skin but to keep the moisture in the skin. The packaging of this product was appealing at first – even a bit gimmicky – but a few months down the line I found I was getting out far too much product when using the pump. I think I would prefer this product to be in a tube. The instructions advise to use a pea sized amount AM and PM, however the packaging easily dispenses double that at a time and it is really difficult to only half press the pump down. Another down side to the packaging is that if you do not unscrew the top you waste so much product. I thought I had used up all of the product, but on closer inspection and after dismantling the top I found at least another three days worth! I have to admit that I have not been using the Moisture Jelly with the original Hydraluron, I have actually been using it in place of it instead and then applying an oil afterwards. I apply the jelly all over my face after my toner and I feel it makes my skin look smooth and plump – like it has had a great big drink of water. 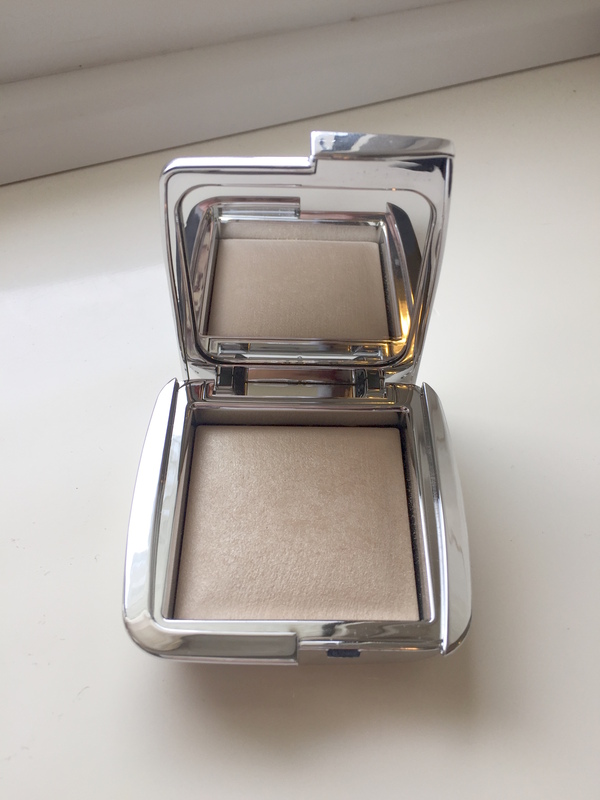 I only used this in the morning as there are other products I prefer to use in the evening, however even using it just in the morning has made a big difference to my skin. Whilst using the Moisture Jelly my foundation has been applying much smoother and my skin does not seem to be drinking the foundation either. I am really pleased with the results I have had from using the Hydraluron Moisture Jelly over the last few months and will definitely be repurchasing this product soon. Indeed Labs Hydraluron Moisture Jelly retails for £24.99 and is available here.